A new dream cast post should be appearing soon, but until then, here are a few unpopular bookish opinions. Please feel free to share your responses to these questions too! A popular book or series that you didn’t like. A popular book or series that everyone else seems to hate but you love. Three Dark Crowns by Kendare Blake was one of my favorite books of 2016, but when I looked on Goodreads, there were a lot of negative comments. A love triangle where the main character ended up with the person you did NOT want them to end up with (warn people for spoilers) OR an OTP (One True Pairing) that you don’t like. How about Harry and Ginny? Who really believed in that match?! A popular book genre that you hardly reach for. A popular or beloved character that you do not like. I didn’t make a connection with Anne Shirley from the Anne of Green Gables series. My first name is Anne, and my aunt gifted me the Anne of Green Gables books when I was younger and I just remember being soooo bored. I know Anne is experiencing a resurgence of popularity with an audio-book read by Rachel McAdams and a Netflix series, but I’m not interested. A popular author that you can’t seem to get into. Hm, maybe Rick Riordan of Percy Jackson fame. I tried reading the first Percy Jackson book, The Lightning Thief, but I gave up after a few chapters. It just didn’t hook me. This is possibly because I had seen the movie previously and it just wasn’t something I cared for, despite enjoying mythology. I’m also not much of a John Green fan (see here). I’m getting tired of the “girl-falls-for-the-guy-who-is-mean-to-her” trope. It just feels like we can be doing better than perpetuating the idea of boys treating girls badly because they secretly like them. I’m all for a bad boy or a mysterious boy with a secretive past, but why must they mistreat girls and the girls put up with it? A popular series that you have no interest in reading. Fifty Shades of Grey by E.L. James. I haven’t read the books or seen the movies. Instead, while everyone was freaking out about Christian Grey, I was reading the epic romance of Tatiana and Alexander in Paullina Simons’ The Bronze Horseman trilogy. The saying goes “The book is always better than the movie,” but what movie or T.V. show adaptation do you prefer more than the book? There are actually several movies I enjoyed more than their books – and I think it’s because I saw the films before reading the books (read my post about those book/film duos here). I didn’t have an allegiance to the books or notice that I was missing out on anything. One such film is Stardust, which was based on the book with the same name by Neil Gaiman. To me, the film added conflict and entertainment to a book that was too sweet. Share your opinions in the comment section below, or post about them on your own blog and link back here so I can check out your answers. This isn’t a new tag, so if you’ve already responded to it, I’m still curious to know your thoughts! Allegiant: I was pretty harsh on the novel after my initial reading. I’m wondering if I would still feel as strongly about it after a re-read, and I’m curious to know if it was really as bad as I thought it was. The entire Harry Potter series: I loved each and every book the first time around, but it’s been many years since I read them. Can you believe It has been eight years since the final book came out? I’ve seen all the movies, of course, but I know they left out a lot of details. Graceling: I really enjoyed this book and the world the author created. I want to go back to that world again, as well as Katsa and Po’s unique relationship. If you haven’t read this book yet, I highly recommend it. Cress: The final installment of The Lunar Chronicles just came out this week. I haven’t purchased the book yet because I’m afraid I’ve forgotten where the story left off. A refresher would be nice before reading Winter. The Bronze Horseman: The history. The romance. Tatiana and Alexander. Simply, I loved this novel and I’d love to revisit it. What books would you’re-read if you had the time and opportunity? The golden skies, the translucent twilight, the white nights, all hold the promise of youth, of love, of eternal renewal. The war has not yet touched this city of fallen grandeur, or the lives of two sisters, Tatiana and Dasha Metanova, who share a single room in a cramped apartment with their brother and parents. Their world is turned upside down when Hitler’s armies attack Russia and begin their unstoppable blitz to Leningrad. Yet there is light in the darkness. Tatiana meets Alexander, a brave young officer in the Red Army. Strong and self-confident, yet guarding a mysterious and troubled past, he is drawn to Tatiana—and she to him. Starvation, desperation, and fear soon grip their city during the terrible winter of the merciless German siege. Tatiana and Alexander’s impossible love threatens to tear the Metanova family apart and expose the dangerous secret Alexander so carefully protects—a secret as devastating as the war itself—as the lovers are swept up in the brutal tides that will change the world and their lives forever. Despite my initial draw to the book, it sat on my shelf for quite a while. I just didn’t have the time to sit down and read it. When summer came around, I finally had the opportunity to read it–and boy, did I get sucked in. World War II is a fascinating and complex time, and this book, set during the siege of Leningrad, was a part of the war I had never learned about. I found myself looking up the historical event as I was reading to better understand the time period. People were starving and freezing to death—resorting to eating bread made out of sawdust and burning their own furniture and books to keep fires burning. The rawness and the desperation of the age were brought to life in Simons’ novel. The book isn’t all sadness and pain though. I picked up this book in the fiction section, so I wasn’t prepared for the book’s steamy scenes! There is a passionate romance that will have you yearning for a love like Tatiana and Alexander’s. What’s even more awesome about this book is that there are two more books to read once you’re finished with it: Tatiana and Alexander and The Summer Garden. I bought the second and third books on my kindle immediately after finishing The Bronze Horseman. While everyone else was talking about Fifty Shades of Grey, I was consumed by the epic love story of Tatiana and Alexander. If you’re looking for a love story where the characters overcome incredible odds, you’ll be hooked on The Bronze Horseman for hours. I highly recommend adding this book (and the entire trilogy) to your summer TBR list. What love stories have pulled at your heart strings? Steve Berry is one of my favorite authors and I’ve talked about his books in other posts. This 2013 thriller intertwined with an historical conspiracy doesn’t disappoint. In this novel, Cotton Malone and his teenage son are headed to Europe—but, of course, nothing ever goes smoothly in Malone’s world. He stumbles into a CIA operation and diplomatic showdown involving a mystery about the true identity of Queen Elizabeth I, the last Tudor monarch. The situation is dangerous, and with his son involved as well, Malone has to stay a step ahead to uncover the truth of the King’s Deception. Read an excerpt of the novel here. Cress is the third book in the Lunar Chronicles series, following Cinder and Scarlet. The novel brings back all our favorite characters from the previous books (Cinder, Captain Thorne, Scarlet, Wolf, Iko, and Emperor Kai), while introducing us to some new ones. Cress has been trapped in a satellite since her childhood by a Lunar thaumaturge. With nowhere to go and no one to talk to, Cress spends her day surfing netscreens, hacking computers, and spying on Earth. Her orders are to track down Cinder, but Cress has second thoughts about this. Meanwhile, Cinder and her fellow fugitives are trying to figure out how to overthrow the evil Queen Levana and her plans to invade Earth. Their attempt goes horribly wrong and the wedding between Queen Levana and Emperor Kai is less than two weeks away. Can Cinder and Cress figure out how to save Earth in time? If you haven’t read Cinder or Scarlet, be sure to check them out. Read excerpts of the novels here. Paullina Simons blew me away with the Bronze Horseman trilogy (I should really talk about the trilogy in a future post), so I was excited to read another book by this author. Simons brings us a prequel novel which tells the story of Alexander’s parents. Gina journeys from Italy to Boston to find a better life. There, she meets Harry Barrington, and thus begins their story of love and heartache. This novel is followed up by Bellagrand, a continuation of their saga. What type of books do you like to read on the beach or on vacation? 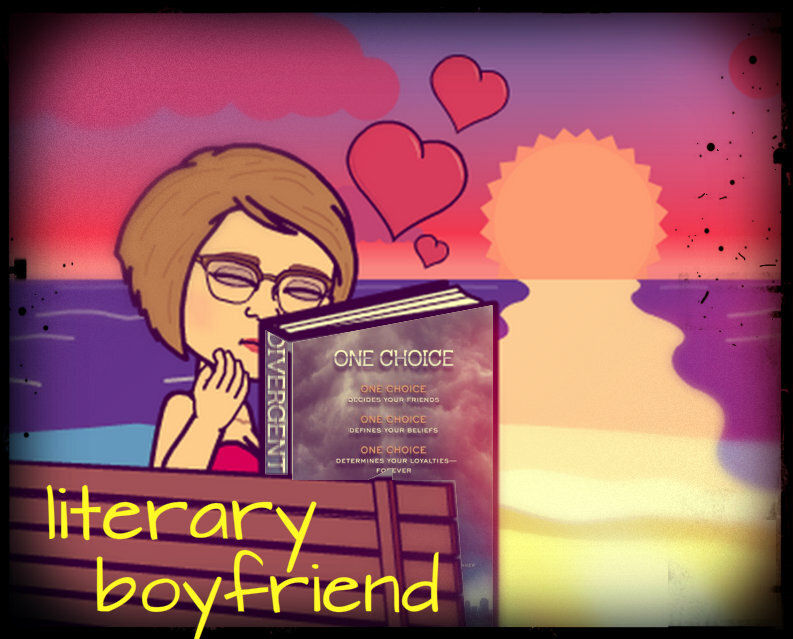 Entry #11 – Literary boyfriend: Oh, _____? That’s just my literary significant other. All the cool kids have one. Share which character has stolen your heart! I’ve read many books in my twenty-eight years of existence, so there have been many a character that has made my heart swoon—from Edward Cullen of Twilight (before the movie came out, anyway! ), to John Tyree from Nicholas Sparks’ novel Dear John, and the motorcycle-riding bad boy Mark from Liz Berry’s The China Garden. But my most recent literary crush would have to be Four from Veronica Roth’s Divergent series. If you have to ask why Four is crush-worthy, than you probably haven’t experienced Divergent or Insurgent yet (*I still need to read Allegiant, so no spoilers please!). 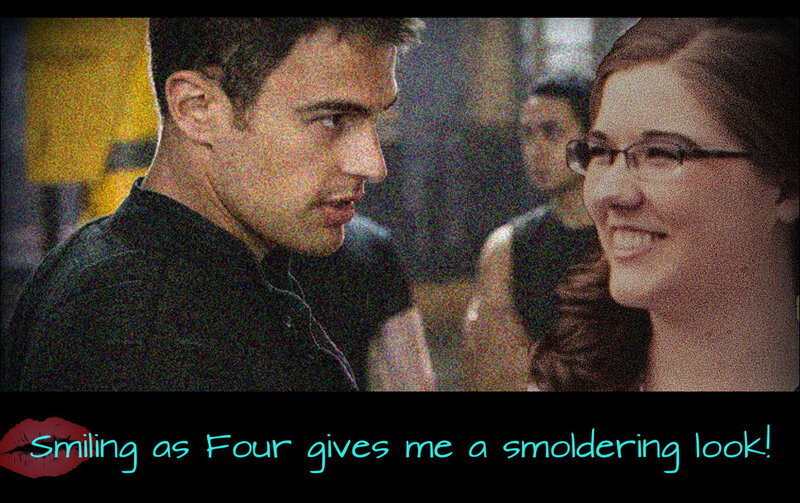 It was clear from the beginning that Tris and Four were meant for each other. He watches out for her and keeps her safe, even when she doesn’t realize it. He gives Tris her space and recognizes that she needs her own friends and a chance to prove herself. His quiet but strong demeanor draws Tris, and readers, to him. He’s a leader, but leads more by example than by force. He’s logical and does what needs to be done, but he has a heart and can be gentle too. This balance of strength and composure make him seem like a great boyfriend. I’ve seen the trailers for the Divergent film and I’m a little worried about the actors chosen to play Tris and Four. They aren’t quite what I pictured, but I’m hopeful that the film will do the books justice. I’d love to hear who your literary crushes are. Post below if you’re willing to share. *I know, I know, I said I would read it a long time ago, but long story short, someone tried to use my credit card at a bunch of places. That means I couldn’t order the book through Amazon and then I had to wait for a replacement card and I just haven’t hooked up my new credit card to the account yet. I’ll read Allegiant soon, I promise.